Gluck's father, Hans Adam, was hunting and forest master for the Lobkowitz family in the Upper Palatinate, later in northern Bohemia. The family relocated several times during Christoph's young years, and little is known of the boy's schooling or of his first music instructors. Gluck's early attempts to practice musical instruments were reportedly thwarted by his father, who had his son assist him in the hunt. By 1731 (though probably earlier) the boy had left home and escaped to Prague, where he continued his musical studies and supported himself partly as organist at the Tyn Church. He matriculated at the University of Prague, but apparently nothing came of his studies there. In music he remained essentially self-taught. After a few years in Prague he went to Vienna (probably 1735), where at the Lobkowitz Palace he met the Milanese Antonio Maria Prince Melzi; in 1736 or early 1737 Gluck moved to Milan, having been hired as chamber musician for Melzi's household. There he played violin in the prince's court orchestra and probably also studied counterpoint and composition with the city's leading musician, Giovanni Battista Sammartini. Four years passed before Gluck's first opera, Artaserse, was produced at Milan in 1741; its success brought commissions, and during the next four years Gluck composed seven more operas, for Milan, Venice, Crema, and Turin. In 1745 he went to London and composed two Italian operas for the King's Theatre at the Haymarket. Thereafter he traveled to Dresden and Bohemia and possibly also to Hamburg; by 1748 he was in Vienna, where he had been commissioned to set Metastasio's Semiramide riconosciuta for the opening of the newly reconstructed Burgtheater. In 1750 Gluck married Maria Anna Bergin, daughter of a merchant with close ties to the imperial court. 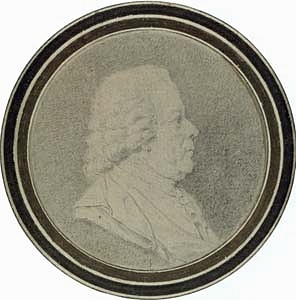 From 1752 until the 1770s he lived mostly in Vienna, where his first employment was as Konzertmeister in the court of the imperial field marshal Prince Joseph Friedrich Wilhelm of Saxe-Hildburghausen; there he came into contact with Kapellmeister Giuseppe Bonno and with the young Carl Ditters (later von Dittersdorf ). 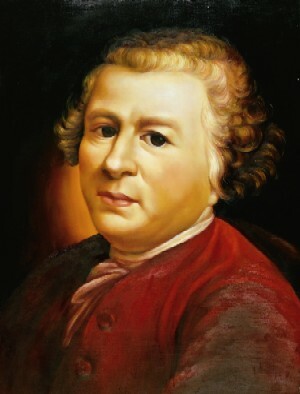 In 1754 Count Durazzo, imperial theater director, began hiring Gluck to adapt French op&ras comiques to the Viennese stage; from 1758 Gluck composed several successful opéras comiques of his own for the Burgtheater, including La fausse esclave (1758). When Italian opera made a comeback on the Viennese stage around 1760 (partly the result of the marriage of the heir apparent, Joseph, to Isabella of Parma), Durazzo introduced Gluck to librettist Raniero Calzabigi, and in 1761 the two collaborated on their first big success, Don Juan. Their even more important Orfeo ed Euridice was performed in 1762; it became a decisive work in operatic quarrels of the period and remains one of the most rewarding of all 18th-century operas. In 1767 the two collaborated again on Alceste. 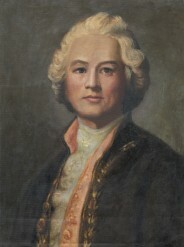 Gluck contributed a famous preface to the 1769 publication of the opera; in it he expounded on his ideals of opera, stating that in Alceste he had attempted to avoid the "disfiguring abuses" of Italian opera and "to restrict music to its true office of serving poetry by means of expression." He spoke against the florid vocal display of the Italian style, ostensibly aligning himself with "musical dramatists" through the ages. A number of Gluck's Italian operas from this period were revised for the Paris stage. During the 1770s the composer won further acclaim there with Iphigénie en Aulide (1774), Armide (1777), and Iphigénie en Tauride (1779). The 1770s also saw his health failing; he suffered an apparent stroke during preparations for his last opera, Echo et Narcisse. He returned to Vienna, and after a few years of marginal health (during which he prepared an important German version of Iphigénie en Tauride ), he finally succumbed to two more strokes. He was buried in Matzleinsdorf Cemetery (near Vienna); his body was later transferred to the city's main cemetery. Other theater works include Demofoonte (1743); Le nozze d'Ercole e d'Ebe (1747); Ezio (1750); Le cinesi (1754); L'innocenza giustificata (1755); Le diable à quatre (1759); L'ivrogne corrigé ( Der bekehrte Trunkenbold, 1760); Le cadi dupé (176 1); Il trionfo di Clelia (1763); La rencontre imprévue (1764); Telemaco (1765); Paride ed Elena (1770). He also composed sacred vocal works, including De profundis (performed at Gluck's funeral, 1787); secular vocal music, including songs and odes; and instrumental works, including at least eighteen symphonies and a set of six published trio sonatas (London, 1746).